"If You And Your Leaders Are Ready To Move From Mission Statement To Mission Lifestyle, Dwelling 1:14 Can Help. You Are Ready For The 'Missional Lifestyle Training Process (MLTP).'" What does it say about our collective level of spiritual discernment when a majority of Lutherans cannot properly assess a statement like this by filtering it through God's Word and our Confessions? I'd say that the fangs from the wolves in sheep's clothing that make up the Five Two Network within the LCMS have officially been buried deep into the unsuspecting sheep within the Eastern District who believe the wolves are just playing with them and that it's all good, harmless fun. How so? Well, sadly, my former church's upcoming Small Group multi-week series will be based on a popular book called "Joining Jesus On His Mission: How To Be An Everyday Missionary" by Greg Finke that many Five Two members promote and support. "The book is 'Joining Jesus on His Mission' and the simple message is: Jesus' 21st Century disciples must stop trying to get hurting people into the church so He can love them and start bringing Jesus to the hurting neighbor so He can love and heal them where they are! As of this writing the 'church' is often neither well aware nor well prepared for this emerging reality; this dawning spiritual truth. We tend to keep focusing on the 'church' while Jesus keeps focusing on the neighbor." The implication is that the way that the Lord has always built Christ's Church for the last 2000+ years is simply not good enough. Sure, a statement like that, which attempts to explain the reasoning behind a book like this sounds right to us. Then again, Proverbs 14:12 and Proverbs 16:25 says that "there is a way that seems right to a man, but its end is the way to death," so which is it? 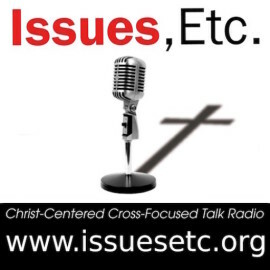 Excerpts from this book include: "There is a growing sense among the leaders I am talking with that Jesus is up to something, that he’s messing with our presumptions, calling us to something more than what we have settled for. He is giving many of us a holy discontent with the status quo so that we will look up from work we are doing, pay attention to him and start to wrestle with what he is currently showing us and asking of us. … Something is coming to a close and something new is coming upon us. And Jesus wants us to pay attention. … The good news is that Jesus isn’t struggling and he knows exactly what to do next. In fact, he is already showing us and leading us into his response. And that is the purpose of this book, to help you see what he is already showing you and following where he is already leading. … Jesus is very clever. … We will discern a simple plan take the first steps of joining Jesus on his redemptive mission in the places we already live and work and go to school. It’s why he’s been messing with us. So now he has our attention… 'Come, follow me.'" Ugh. Hardly surprising. Why do we insist on using concepts and language that are completely foreign to the Word of God!?! Maybe it's because we're told we have to somehow "Be New!" in order to "Create New!" (whatever that's supposed to mean!). Maybe it's just me. Yeah, it's probably me. Maybe I'm being "divisive" and "unloving" again in suggesting that there's something seriously wrong with a book like this, especially since Mr. Finke obviously has good intentions and means well. Maybe I need to take a quiz. -- Martin Chemnitz, Ministry, Word, and Sacraments: An Enchiridion, ed. & trans. Luther Poellot, (St Louis: CPH, 1981) 39. "So that we may obtain this faith, the ministry of teaching the Gospel and administering the Sacraments was instituted. Through the Word and Sacraments, as through instruments, the Holy Spirit is given. He works faith, when and where it pleases God, in those who hear the good news that God justifies those who believe that they are received into grace for Christ’s sake. 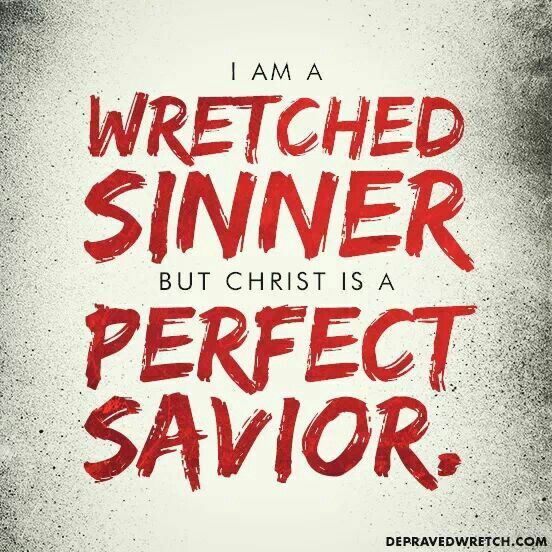 This happens not through our own merits, but for Christ’s sake." Better yet, this is what Lutherans have always proclaimed to believe, teach, and confess, but this is precisely what too many Lutheran churches and Lutherans are choosing to ignore so they can preach and teach from Mr. Finke's book instead. Well, if that's you, if the above somehow doesn't concern you, or if the above doesn't somehow convince you that you'll be wasting your time learning nothing but bad non-Lutheran theology, or if you're the type of person whose immediate reaction to what you just read is to quickly write a list of points to defend the merits of this book while also becoming more steadfast in your determination to teach it to the congregation anyway, then perhaps a more detailed and specific book review is what you need to help wake you up from your spiritual amnesia so you can remember your Baptism, remember God's promises to us through His Word and Sacraments, and remember your vows as His called and ordained servant of those precious Means of Grace. I apologize for that run-on sentence, but I only wrote it because I'm passionate about trying to get you to run away from this kind of dangerous, deadly, spiritual poison masquerading as pure, unadulterated Biblical truth (Galatians 5:9; 1 Corinthians 5:6-7). What could I possibly add in this commentary that wasn't already beautifully said in all the articles and reviews I've highlighted here so far? Perhaps I can help by providing other laymen out there with a template for a letter they can use if their local church is planning to walk down the same crooked path that other churches have decided to trailblaze for themselves in following Mr. Finke more so than following our Faithful Redeemer Himself. Good afternoon! I hope this email finds you both well and that you each had a blessed and restful summer. I'm sure things are still quite hectic right now as you gear up for the start of another school year too, which is why I'll try to keep this as short as possible. 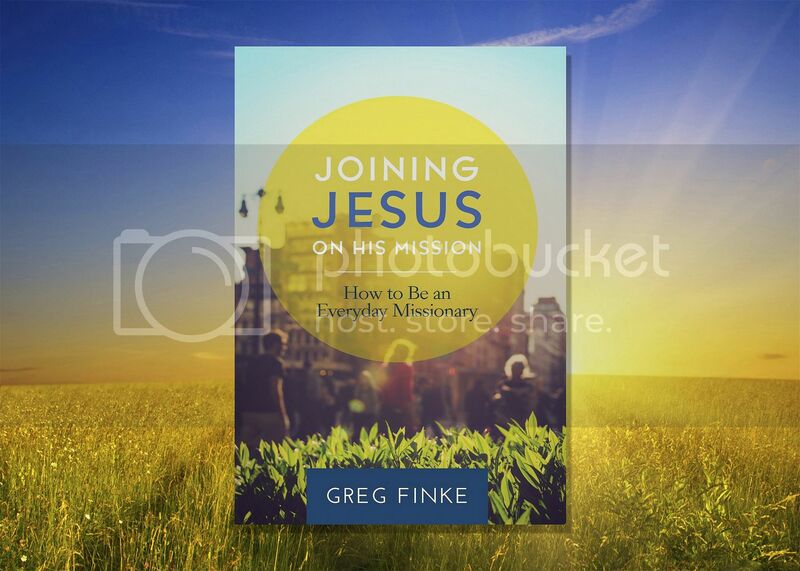 I understand that you'll be teaching from Greg Finke's "Joining Jesus On His Mission: How To Be An Everyday Missionary" for several weeks this Fall. I'm not sure if either of you is aware of this, but I feel like I have a responsibility to you and everyone else there as your/their fellow brother in Christ (even if I'm not currently an "active member" at Trinity any longer) to warn you both that the content in this book is quite problematic let alone a complete departure from what we believe, teach, and confess as faithful Lutherans. Please understand that I'm certainly not trying to cause any controversy or to be divisive in any way, but am only doing what I would expect and hope others would do for me if I was ever about to unknowingly feed myself and others a steady diet of spiritual poison over the course of several weeks. That might seem like a "strong" and "unfair" statement for me to make until you learn that while Mr. Finke certainly has good intentions in writing this book and by encouraging us to engage with people through our various God-given vocations (there are some other good things in this book too), he also CONSTANTLY stresses throughout that Jesus is "messing" with us and acting upon people outside the very Means of Grace He intended to use to draw people to Him and to grow Christ's Church, and, as a result, Mr. Finke not only ignores the ministry and work of the Holy Spirit in converting souls, but also ignores God's use of His Word and Sacraments to do so, and in the process, even produces an entirely *new* teaching that is not Lutheran or Scriptural in these critical and key areas. Of course, that's a serious cause for concern. As Rev. Geoffrey Robinson (Mission Executive for the LCMS Indiana District) wrote in this book review: "In conclusion, I appreciate Finke’s efforts to encourage the engagement of people and in particular one’s neighbors in a relational manner. I am thankful for his emphasis on the Universal Grace that God teaches in His Holy Word. 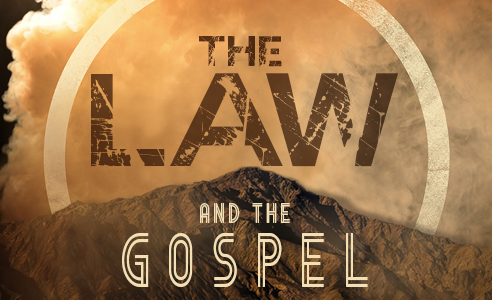 However, I cannot endorse this book, due to the lack of emphasis of the Holy Spirit working through the Means of Grace to call people into saving faith, and due to the many theological concerns that I have explained in this review." Since we know that "a little leaven leavens the whole lump" (Galatians 5:9) and that "iron sharpens iron" (Proverbs 27:17), this is why I ultimately decided to merely take a few moments to reach out to you today to share this Book Review with the two of you in the hopes that it will help in some way or perhaps even cause you to reconsider using this book as a teaching tool at Trinity. That was a couple of weeks ago and I'm still waiting for a response from the Pastor. The response I received from the head Small Group Facilitator was quick and to the point. "This book was given to me by another Lutheran pastor who's church in Florida had an excellent experience using this." Forgive me. I forgot that the Southern District was a bastion of Confessional Lutheran beliefs, teachings, and confessions, and that a Christian's "experience" always trumps doctrinal faithfulness. 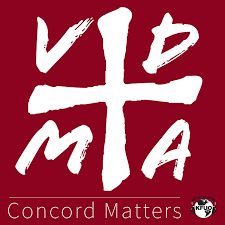 Unfortunately, yet again, we see other Lutherans who are in positions of enormous responsibility at both an LCMS church and school, and who should certainly know better given their vocations, training, and upbringing, deciding to completely ignore the basics. "Enthusiasts we call those who expect the heavenly illumination of the Spirit ["coelestes revelationes" = "celestial revelations"] without the preaching of God's Word"
-- "It doesn't get into theology." -- "He does not use the term 'Means of Grace'." -- "God's just multiplied the kingdom through His people!" Once again, I completely forgot that we now live in a world of "Sacramental Entrepreneurs" where "Relationships" are the *new* and *improved* Means of Grace for the living, breathing, organic Christian Church of the 21st Century. 1 Corinthians 5:6 (ESV) Your boasting is not good. Do you not know that a little leaven leavens the whole lump? In essence, and just as he has on numerous occasions in the past I'm afraid, his reply was simply a list of all the reasons why he disagrees with all of these concerns that other men more learned and perceptive than me have brought up that I tried to share with him out of genuine concern in the hopes that he might reconsider moving forward with this book. 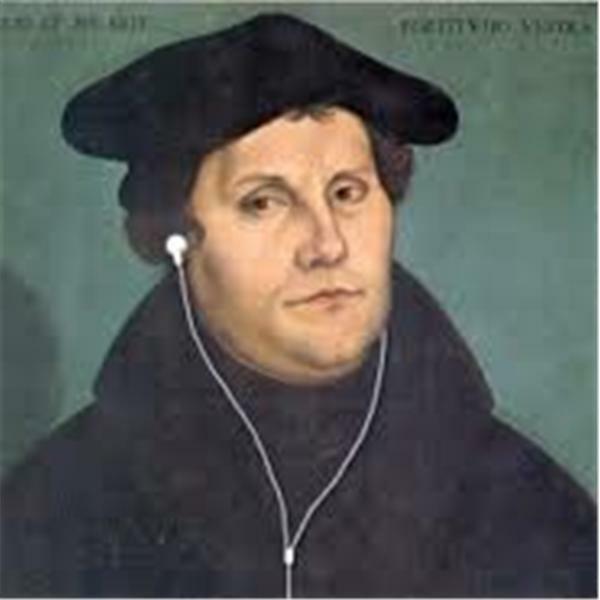 I even found a 2-hour lecture by Greg Finke where he starts out by ridiculing doctrinal faithfulness by comparing Christianity to golf in a presentation titled "Best Practices for Ministry 2015" which sounded much more Charismatic and Evangelical than distinctly Lutheran. So, who is Greg Finke? In short, I think it's fair to say that by his own admission he's a Lutheran Pastor who is obsessed with being a "Missionalist" -- and obsessed with helping you become one too! Jesus is starting a missional movement in the United States. I have seen it. He’s been messing with you about it, too, hasn’t He? Dwelling 1:14 is about helping Jesus-followers like you connect with other Jesus-followers in your neighborhoods, workplaces and schools for the sake of discipling and living out the mission of Jesus day by day. These small communities of Jesus-followers living in their neighborhoods, seeking the Kingdom, and connecting with people redemptively are what we call “missional communities.” And I think Jesus is calling you to help start another one. He even created a consulting entity called "Dwelling 1:14" that would rival even the slickest megachurch's advertising and marketing materials. What makes issuing a warning like this one so difficult though is that it's so slick and subtle. He knows what to say and how to say it. Plus, he seems like a genuinely nice and sincere man too. Yet, as we've been saying for quite awhile now, good intentions and sincerity does not automatically equal Biblical truth! For example, Mr. Finke points out in his book that we don't "go for Jesus" but we instead "go with Jesus" since Jesus is already at work in the lives of others. As a result, he points out that Jesus only asks us to be a good neighbor to those around us. Now, at first glance, what Confessional Lutheran would argue with that? Ahh, but therein lies the subtlety I think! It's a subtlety that reminds me of another we've read about (Genesis 3:1), because while such statements invoke thoughts of the Doctrine of Vocation, Finke does not provide us with a clear teaching on this doctrine at all anywhere in the book! I don't know if this approach was part of his cleverly designed strategy to fend off criticism from Confessional Lutherans like me or just part of his own unique writing style and he's unaware that he's even doing this, but this does seem to be a common theme throughout the book from what I've read about it. Each time he asserts something that has me shaking my head in agreement, he fails to put the exclamation point on it and casts it into doubt by creating an assertion that has no basis in Scripture or our Confessions really. Yes, Mr. Finke does do a very good job of mixing just enough truth in with the distortions and lies. However, it's always those few distortions and lies -- that little bit of leaven -- that causes so much trouble, isn't it? If only he would just stick to what has worked since the very beginning without trying to reinvent the wheel by using new concepts, new definitions, new phrases, new words, and new terminology! If it's Jesus' mission, then why can't we just trust that He can certainly handle it all on His own? Why are we so arrogant and pious to assume that He needs our help with any of it? Maybe it's because we really don't believe Him when He proclaimed to St. Peter that "and I tell you, you are Peter, and on this rock I will build my church, and the gates of hell shall not prevail against it" (Matthew 16:18) or that "this is the will of him who sent me, that I should lose nothing of all that he has given me, but raise it up on the last day" (John 6:39). In a Lutheran layman's terms, to me, it seems apparent that "Joining Jesus On His Mission" as Mr. Finke describes it, means joining other Lutherans who are willing to ignore the Holy Spirit, willing to ignore the Word and Sacraments, willing to ignore the Office of the Holy Ministry, and willing to ignore the Doctrine of Vocation.